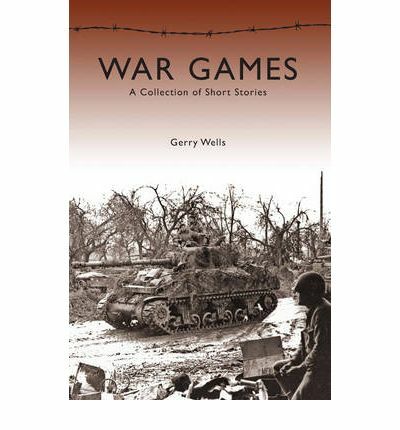 A Second World War veteran, Gerry Wells is better-placed than many novelists to write fiction about war. However the sub-title ‘a collection of short stories’ is a bit of a misnomer, as really this is parts of a novel sandwiched between some separate narratives. These stand-alone stories explore a number of disparate themes and conflicts, from the perspective of the soldier sentenced to death to a sniper with a conscience, an interesting mix but one that largely works. The bulk of the collection follows the fortunes of a tank commander and his crew during the Second World War, and tales of tense encounters with Tiger tanks and snipers have an authentic feel to them; one is left wondering how much of the book is based on the author’s own experiences as a ‘tankie’ during the war. These stories also explore the post-war difficulties of the main character adjusting back to ‘normal’ life whilst plagued by flashbacks and feelings of guilt. Each chapter following this crew is a short story in itself but I was left feeling that they deserved a novel of their own, as if the bones of a narrative were there but had not been fleshed out and finished. This is a shame because what is there was well-written and engaging, and I would certainly have read more.